When Redbooth sponsored the collaboration track at the Interop conference that just wrapped up in Las Vegas, we did so with a conviction that the time has come for communication and collaboration to move faster and be more agile — because business is moving faster and requires greater agility. As Redbooth’s Chief Evangelist, I gave a talk on 10 Keys to Collaboration for the Agile Enterprise (which I’ll recap in a May 13 live webcast), participated in a panel discussion on Next-Gen Collaboration, and was delighted to meet conference attendees who came by our booth to chat and get a signed copy of my Social Collaboration for Dummies book. The three themes related to agile collaboration and outlined below combine the messages I delivered that seemed to resonate best — and what I heard from other participants. Although I wrote a book about “social” collaboration and social business, no business leader adopts a social tool to help employees socialize better. The point is to work together better and in particular to develop a more agile organization. During the Interop panel discussion, Nemertes Research analyst Irwin Lazar suggested that one of the best ways of understanding the next generation of communication and collaboration is to talk with any software developers your organization employs. Agile software development emphasizes tight communication and collaboration, valuing the ability to respond to change over following a plan. So developers have been among the first to revolt against the limitations of email and cumbersome enterprise content management systems. They’re looking for just enough structure to organize their work, without too many constraints on how they will get their work done. They recognize that requirements change too fast to do all the planning up front, and so they want tools that help them flex and adapt. Broadly speaking, every other business function shares that need for speed and agility; the software developers were just the first to create specific methodologies for it. Even if you’re not running a startup, read The Lean Startup by Eric Ries for some parallel ideas about the feedback loop that innovative businesses (and business units within larger companies) need to develop better products and stay ahead of fast-changing markets. Social networks and smartphones have taught us that email isn’t the only way to communicate — and often isn’t the best way to communicate. Facebook allows us to limit communication to our circle of friends, LinkedIn allows us to limit it to professional contacts, and Twitter lets us narrow it to people we find interesting enough to follow. Collaboration networks for getting work done can be similarly selective and still flexible enough that we can easily expand our circle of collaborators to include freelancers, contractors, consultants, and business partners, or maybe customers we want to build a more collaborative relationship with. The people you work with are more ready than ever before to try something more flexible, fluid, searchable, and organically organized. I don’t believe that email is the enemy. Email is still the lowest-common-denominator Internet standard for communicating with anyone, anywhere in the world (assuming they can weed through the spam and inbox overload to find your message). In Redbooth and many of its competitors, the easiest way to add someone to a collaboration space is to send them an email invitation. 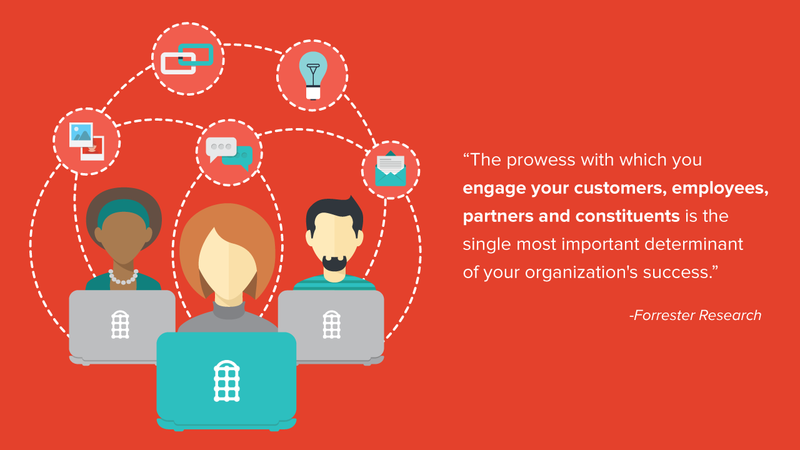 Still, the point of inviting someone into your Redbooth workspace is to pull your most important interactions with them into a richer space for organizing work, sharing content, and connecting in real time. Peaceful coexistence with email is also a wise policy, which is why Redbooth, for example, lets you create tasks based on your Outlook or Gmail email. Getting back to general principles, I heard a lot of agreement that people are ready and willing to something new if it really is more efficient – if it allows them to escape from chaotic chains of reply-to-all emails and hunting through your inbox for file attachments. Much as we all love innovation, the proliferation of modes of communication and collaboration can also be overwhelming. Organizations move away from monolithic collaboration environments they find too cumbersome and wind up with a tangled web of special-purpose apps. In reality, a collaboration tool or suite of tools can do a lot of things well and still not meet every requirement of every team or user. What we need are better ways of bringing together all the tools that help us get our work done. 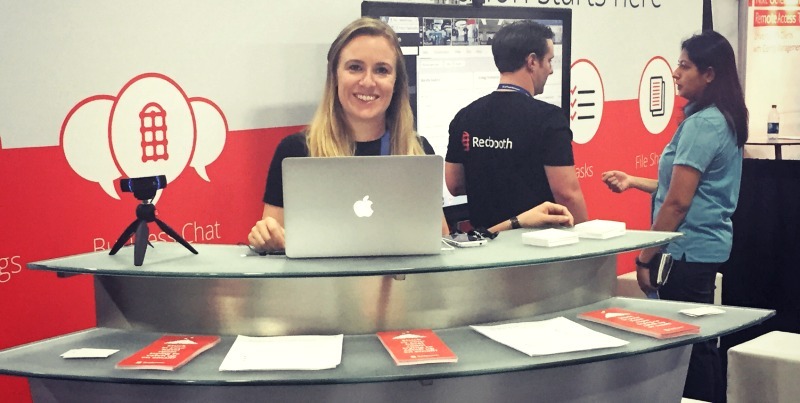 Probably the thing that sparked the best conversations at Interop was Redbooth’s approach to serving as a collaboration hub built around a core set of capabilities for organizing and tracking work. 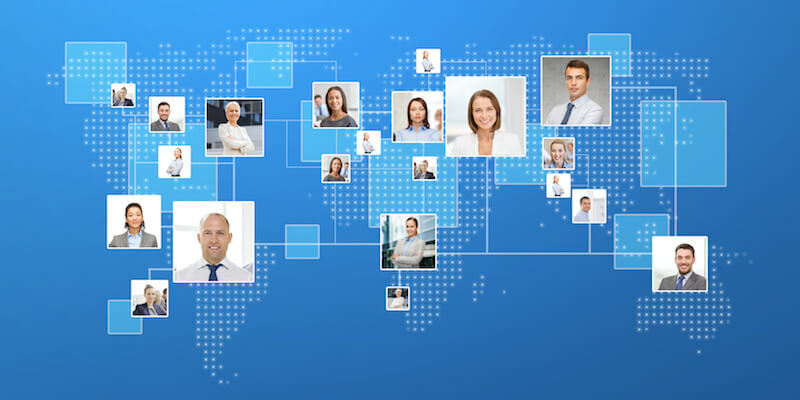 We want to be the best single place for you to get work done online, in every mode. And we recognize the need to integrate with the other tools you are using productively. The story I told again and again, because it made an impression on people, was about how Redbooth customer Ben Diamond of Centers Health Care uses our integration with Box (see the full case study). Because he supervises multimillion-dollar construction and improvement projects for a network of nursing homes, he uses Box’s efficient file sync for large engineering and architectural drawings. Yet the ability to attach a specific document – say, a wiring diagram – to the work order for the contractor responsible for implementing it adds a layer of transparency and accountability that Diamond says is “infinitely valuable” to his organization. Our work is far from finished, but the goal is clear. The next generation of collaboration and communication needs to be unified, but not monolithic, and as agile and flexible as the new business processes it promises to enable. David is a former InformationWeek editor and the author of Social Collaboration for Dummies. During his time at InformationWeek, David also served as social business track chair for the Enterprise 2.0 / E2 conference series. In his spare time, he taught himself web programming and is the author of several WordPress plugins. Interop 2015: Fresh-Baked Cookies, Popular T-Shirts...and a Collaboration Revolution!